Crufts is one of the largest dog events in the world, originally staged in 1891 by Charles Cruft, which this year celebrates its 125th anniversary. For prospective dog owners and dog lovers, Crufts is a great opportunity to talk to Kennel Club Assured Breeders, rescue charities and breed experts about how to responsibly buy, train and enjoy life with a dog, not to mention an exhibition of all things cute and fluffy. We caught up with dog lover, Tess Daly, who is appearing as part of her role as ambassador for the Be Lungworm Aware campaign. After being involved in the campaign in 2015, Tess became increasingly convinced that her golden retriever, Sam, may have died of lungworm. As a result, Tess is attending this year’s event to encourage other dog owners to be alert to the dangers of lungworm and look-out for signs their dog could have become infected the deadly parasite. For all this and more watch our informative video as we catch up with Tess and get some sneak peaks of the event itself. How dogs can contract the lungworm parasite? 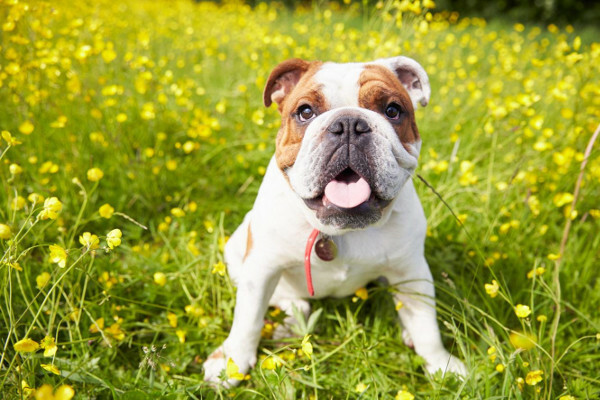 Do you know what the signs of lungworm in your dog are? Once the lungworm parasite is inside dogs’ systems, it can cause symptoms such as breathing problems, tiring easily, coughing, persistent bleeding, vomiting, diarrhoea and, in some cases, death for beloved canine companions. Evidence from the Royal Veterinary College confirms the lungworm parasite has spread across the UK, from its traditional habitat in the south of England and Wales, now being widespread in Central England and also reaching northern regions and Scotland, with one in five vet practices reporting at least one case of the parasite1 A year ago animal health experts Bayer launched a Lungworm Mapping Tool to assist with plotting the prevalence of the disease across the UK, as part of a wider research programme to better monitor and document the spread of the potentially fatal disease. Vets are continuing to report cases of lungworm in their practices to be added to the interactive map, helping them to see where dogs could be at risk. Who Can Look after Your Dog When You’re on Holiday? Your summer holiday has finally been booked and you’re looking forward to spending some quality time relaxing in the sun with close friends and family. But whilst you’ll be away, have you stopped to consider who’s going to look after your other family member – your beloved pet dog, of course? If not, don’t panic: we’ve compiled a list of safe and sensible suggestions so that your four-legged friend is left in good hands. Your first option is to house your dog in kennels until you return from your much-needed summer break. There are plenty of kennel services to choose from, but it’s worth opting for one based on reputation, so ask other dog owners and friends and search online to check reviews. Some kennels will be more luxurious than others, but essentially they all offer a similar service. Remember to ask how much exercise your dog will receive each day and whether this comes at an additional cost. It’s also worth finding out how much space they will have available. If you own a large dog, they’ll require a sufficient area to roam around in. Be sure to visit the kennels as well. You’ll get a good indication of how the staff will treat your dog, the condition of the premises and how many people will be interacting with your pet. If kennels are off the cards, what about getting someone you know to stay at your house and dog-sit whilst you’re away? In this instance we’d recommend choosing someone with whom you have a good relationship – and if they own dogs, or have owned them before, even better. This might be a sensible option if you know your pet will feel more comfortable staying in the environment they’re used to as opposed to moving to new premises. If dog-sitting sounds right for you, just make sure that the person looking after your pet will be with them at all times. Getting someone to call in at your home and check on your dog every now and again is the wrong approach and could even be deemed animal cruelty. Slightly different to the above, home dog boarding means that your pet will stay with someone else in their own home while you’re away. Think of this as your dog’s very own holiday or getaway where they get to unwind until they greet you with a wagging tail upon your return. Just as you would for dog-sitting, make sure the people looking after your dog are reliable and trustworthy and understand the needs of your pet. Recommendations, reviews and ratings will also play a key part in determining which home dog boarding option to choose, so once again, don’t forget to ask around. Always make sure you meet the sitter in advance before you go on holiday so that you know you’re making the right choice. This will also give your dog a chance to become familiar with their surroundings before they end up staying there. According to The Kennel Club, you should also check references and insurance cover and leave the sitter your contact details. Finally, if it is a legal requirement in your local area for the individual or business to have a licence to provide this type of service, you should check this as well. Which Option’s Right for Your Dog? As each and every dog has their own individual requirements, try and pick the best service to meet their needs. You know your own pet better than anyone else, so think through your options and go with a choice that you’re confident your dog will enjoy. Ideally, you want to cause your dog as little distress as possible while you’re away so that they have their own holiday too. If you get it right you’ll know for next time and both you and your dog can reunite after a well-earned break. This post was written by GJW Titmuss, a leading online pet supplies, food and accessories store. It’s the world’s biggest dog show and this year Crufts is celebrating its 125th birthday. For over a century the famous canine event has seen dog lovers and owners come together to celebrate their precious pooches, and speak to Kennel Club Assured Breeders, rescue charities and breed experts about how to responsibly buy, train and enjoy life with a dog. We caught up with dog loving celeb Mark Wright who is on a mission to help dog owners keep their pups happy and healthy this spring. Mark is urging dog owners to make sure their pets are up to date with all their worming and flea treatments as warmer weather approaches and is appearing at Cruft as part of his role as ambassador for The Inseparables campaign. Also on hand to show just what a healthy, happy dog can really do is BGT double act, Ashleigh and Pudsey. Grimsby Pet Treat manufacturer lands home another “Big Fish” for the Pet sector! Grimsby based pet treat manufacturer Tower Pet Products UK Ltd (TPP) are launching this week at Crufts 2016 the Worlds 1 st Aquaculture Stewardship council (ASC) certified Salmon Jerky dog treat. Under the umbrella of parent company Tower pet Products UK Ltd the companies award winning Sea Treats fresh fish based dog treats brand has now achieved ASC certification for its 100% Natural Salmon Jerky Dog treat. The Sea Treats range of Salmon Skin Jerky treats for dogs are made using fresh salmon skins which are sourced from Aquaculture Stewardship Council (ASC) certified sustainable fisheries. This means that the treats can be traced back to an independently verified sustainable source. Tower Pet Products are well known within the pet sector for their Marine Stewardship council (MSC) Whitefish Jerky range and are now really excited to add the ASC certification to its Salmon Jerky product range . The fish skins are a fresh nutritious product from salmon left over after processing for human consumption and make a good use of an otherwise underutilised part of the fish. The product is high in essential fatty acids and omega oils – and really good for the animal as a treat. Along with the MSC range the new ASC certification will be displayed on the Sea Treats packaging. Alongside the Sea Treats brand the company is well known for its Challenge Brand which is a premium fresh salmon based Dog food which feeds Championship winning Dogs. Good luck to all of our team and customer at Crufts 2016. Have a great Crufts 2016. 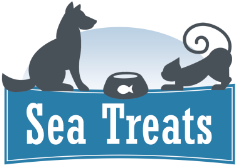 To find out more about Sea Treats, visit www.seatreats.co.uk or visit Hall 1 stand 108 at Crufts at the NEC Birmingham.